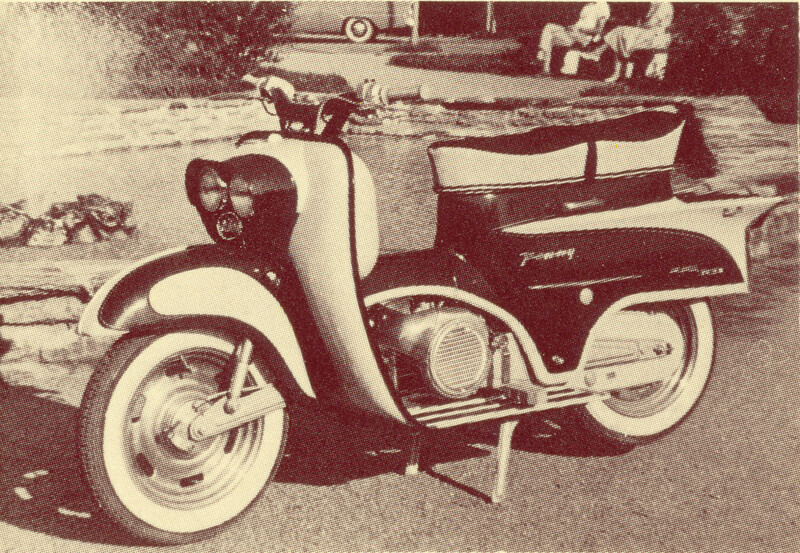 In the 1950s, scooters were just as common a sight on urban streets as they are today – even if the design was more than a little different. As dependable workhorses, they were mainly used for the daily commute, with their fairing offering much better protection against spray water than conventional motorcycles. Scooters have long been a part of KTM’s proud history too. 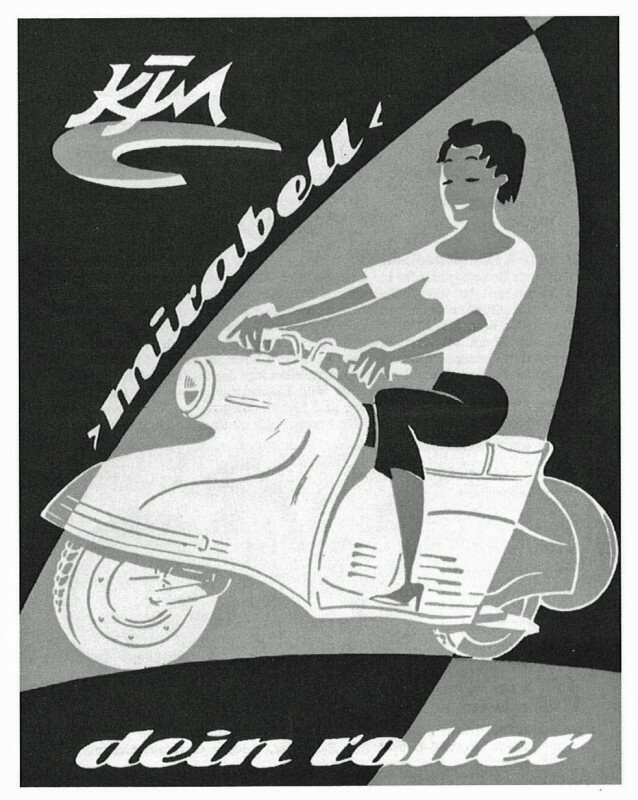 Sixty years ago the young motorcycle manufacturer introduced its first scooter: the Mirabell, named after Mirabell Palace, one of the most famous tourist destinations in Salzburg. Ten years had passed since the end of the Second World War and Austria was in the midst of its own economic miracle. With wages on the rise, motorized transport was no longer a pipe dream for many, even if the budget didn’t quite stretch to an actual car. The only question was whether to opt for a more sporty motorcycle, or to take advantage of the sweeping fairing on most scooters that did a better job at keeping you clean on the roads but still left a lot to be desired. KTM – trading under the name of “Kronreif & Trunkenpolz, Mattighofen” since Ernst Kronreif became a partner in 1955 – decided to add to its R 100, Tourist and Grand Tourist range with a fourth model: a scooter. At the end of the year the Mirabell scooter was unveiled to great critical acclaim. 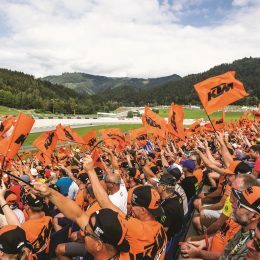 Nomen est omen: true to the meaning of the word “Mirabell” – admirable and attractive – the new KTM scooter was dynamic, tasteful and elegant, all in keeping with the tastes of the time. As for the other manufacturers of the day, their offerings were marketed as “automobile scooters” or even “cars on two wheels”. Underneath the, by modern standards, substantial bodywork, sat the six hp Rotax engine from the Tourist models. At 125cc and with a three-speed transmission, it had of course been adapted to suit its special purpose. Due to the lack of an air stream, the cylinder was cooled by a fan, the propeller for which sat on the “Dynastarter” – an alternator that also served as the electrical starting motor. Shifted with the foot in the same way as a motorcycle, other design features included 12″ wheels, a swingarm at the front and a motor unit swingarm at the rear. Dispensing with the struggle of lifting the seat for refueling, the filler nozzle for the 8-litre tank was integrated into the headlamp housing. What’s more, the Mirabell was not only a tool for the daily commute, but was even capable of mastering much longer distances, as proved by a man from Vienna who crossed Europe – from the North Cape to the Meteora monasteries of Greece – on KTM’s new scooter. In 1957 the Mirabell’s younger brother was born: the moped Mecky. 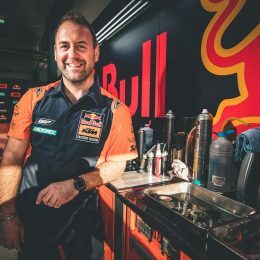 Where KTM had previously relied on Sachs engines made under license by Rotax, the engine in the Mecky signaled another milestone. 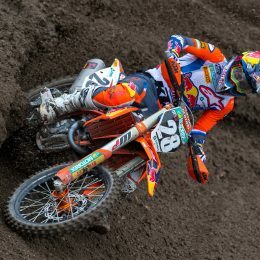 Designed and manufactured exclusively in Mattighofen, it was the first truly KTM engine in the company’s long history. By the standards of the day the chassis was a pioneering development. The suspension was made from rubber torsion elements and the stylish wheels were even made from cast aluminum. A year later the Mirabell was treated to an extensive facelift, which gave customers the choice of a 125cc or 150cc model with a four-speed transmission underneath the largely unchanged chassis. The torsion suspension and alloy wheels from the Mecky were also adopted. It was from the road models that the “Frankfurter Topf” silencer was developed by – of all people – a lawyer from Germany, Dr. Leistritz. As well as reducing noise, which was important even back in the 50s, the silencer also ensured better performance from the engine. At the end of the 1950s the European motorcycle crisis hit KTM and sales figures collapsed. While its German competitors sought in vain for salvation in the manufacture of small passenger cars, KTM remained true to two wheels and concentrated on 50cc vehicles for the expected high growth rates to come. As the successor to the Mecky, which had been especially popular in its powerful two-seater form, the Ponny was launched in 1960. With its tail fin, white-walled tires and twin headlamps, the Ponny clearly took its styling cues from America’s auto culture. 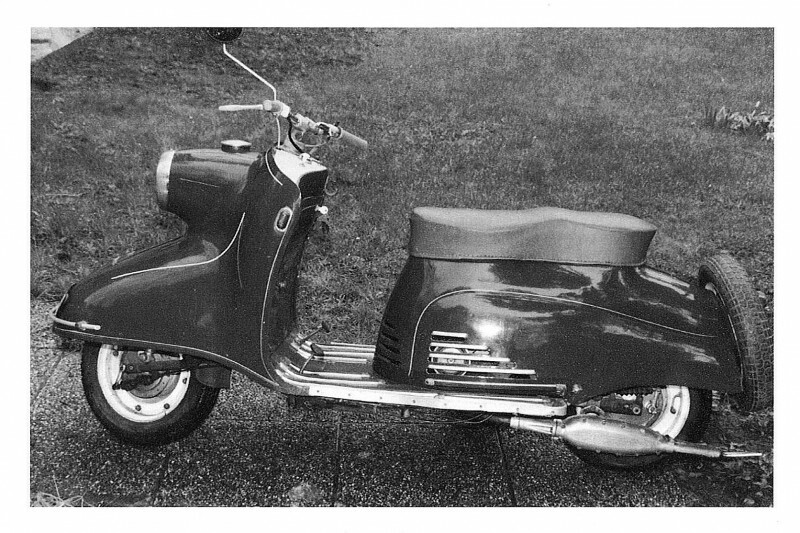 Its design was so successful that the German sewing machine and moped manufacturer Gritzner adopted the Ponny into its range as the “KTM de Luxe”, and by 1961 it had already become the market leader in Germany with 14,000 units sold. After 40,000 models had rolled off the production line, the Ponny was replaced with the tremendously successful Ponny II. Manufactured practically unchanged for 26 years, the Ponny II was even sold by other manufacturers under their own name. In 2013 KTM unveiled its vision for the emission-free scooter of the future at the Tokyo Motorcycle Show, where the sporty “E-Speed” concept study was presented under the banner of “urban mobility”. 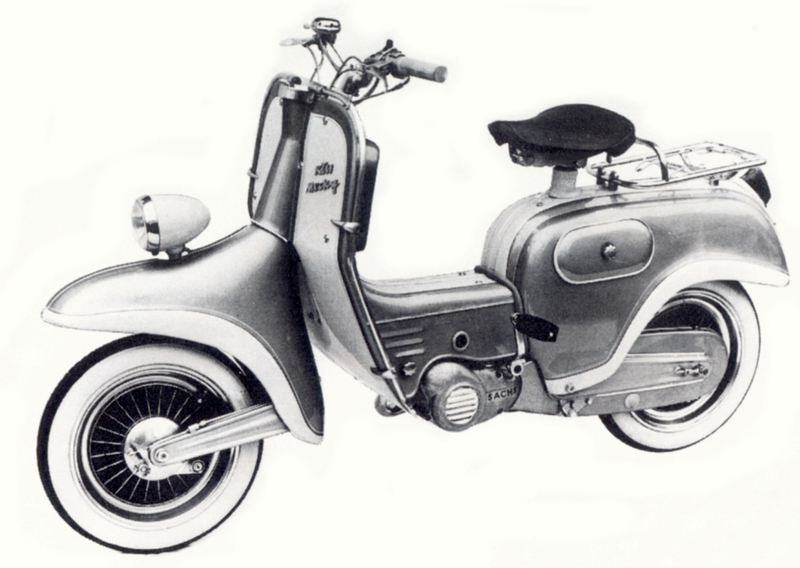 With their iconic bodywork, the scooters of the 50s and 60s have a huge cult following. Their proud owners meticulously care for their treasured possessions in order to present them at classic rallies. With luck, you may even find one or two perfectly restored Mirabells among the beauties on display. Its really an amazing post. You’ve shared great facts about Mirabell scooter. Thanks!